Nintendo has really pushed the boat out for Super Smash Bros Ultimate, bringing back all previous characters for players to choose from. There are also a number of new faces, and yet more to be added in as DLC. To help you wrap your head around the bulging roster of iconic video game fighters, we’ve been busy pulling together character guides on each one. 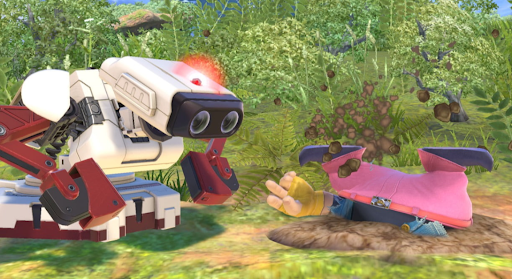 In this Super Smash Bros Ultimate ROB Guide, we’ll be taking a look at R.O.B. We’ll highlight the changes that he has gone through since his last appearance, and detail the Alternate Costumes and Final Smash. Everyone’s favorite mechanical pal is back for Super Smash Bros Ultimate. ROB last appeared in SSB4, and then Brawl before that. He’s gone through a number of changes since then though, which we will highlight later on in this guide. Super Smash Bros. Ultimate features a variety of characters for you to use, one of which is ROB. In the table featured below, you can find a list of attack that ROB can use. Every single fighter in Super Smash Bros Ultimate has gone through some changes to the way they play. ROB has seen some pretty significant changes, as he now boasts a new Final Smash and new moves. We’ve listed all of the changes we’ve noticed below. Some of ROB’s animations have been tweaked including jumpsquat, side taunt, charge, Up throw, and Arm Rotor. ROB has a new Final Smash, more on that later. Robo Beam does more damage. Down Smash does more damage. Forward Tilt does more damage. Double jump has been changed. 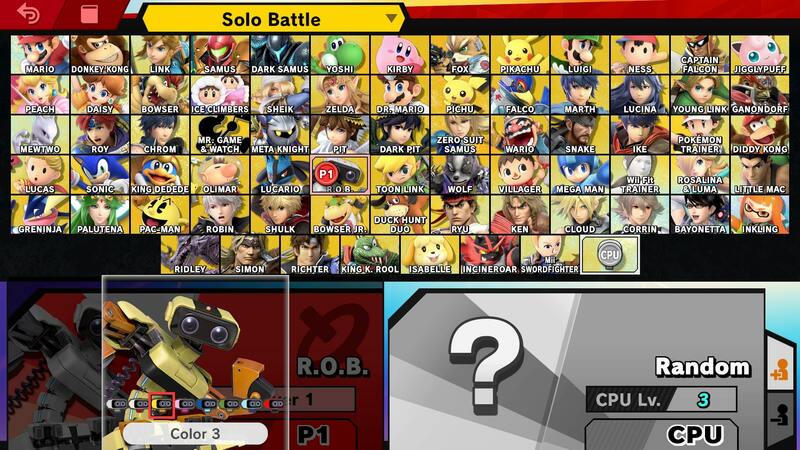 ROB has a number of Alternate Costumes which players can choose from in Super Smash Bros Ultimate. ROB comes in grey, yellow, pink, dark blue, green, light blue and orange variants. You can see some of ROB’s Alternate Costumes in the image above. ROB has a brand new Final Smash for Super Smash Bros Ultimate. It’s called Guided Robo Beam, and sees ROB firing red lasers at his opponents. He then finishes the move with a large green laser, which deals huge damage. That’s all the info we have on ROB in Super Smash Bros Ultimate. We’ll be adding more info as we get it, so keep checking back for more updates. In the meantime, you can learn more about Super Smash Bros Ultimate by visiting our Super Smash Bros Ultimate Guides Hub. It’s got info on the new Ridley amiibo, modes, and more.